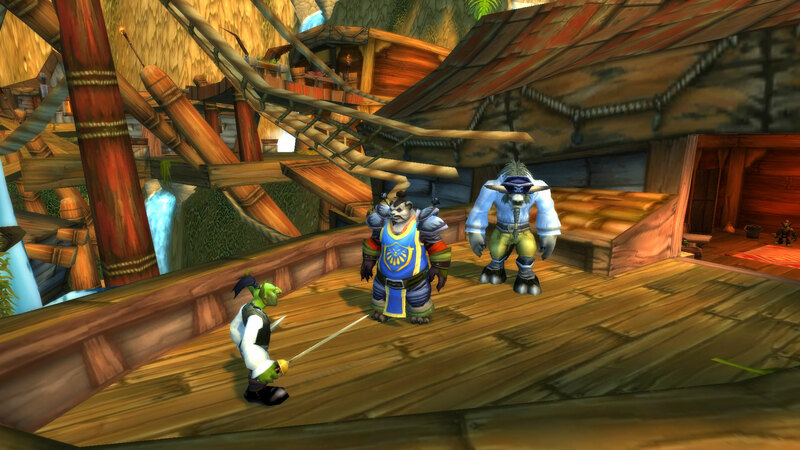 The last time I wrote about Sleepypaw, I had played through Elwynn Forest, Westfall, Redridge Mountains, and Duskwood on my Alliance pandaren monk. I figured it was time for a short update. Back in July I finished Northern Stranglethorn on him, and in August I completed the Cape of Stranglethorn. Being contested zones, they were largely the same as they were Horde side. Because I was also doing dungeon runs with my friends on this character, Sleepypaw was 55 by the time I completed Stranglethorn with him. However, due to being busy on Friday nights quite often, the nights of our dungeon runs, I also got out-leveled. For these reasons, I’m retiring Sleepypaw for now. That’s not to say I won’t ever return to him, but my real goal for leveling alts was to see the zones I hadn’t seen previously. There’s little point in playing low level zones with a higher level character because I might as well reroll. When I choose to see the rest of the Alliance’s Eastern Kingdoms, I’ll be doing it with a new toon!